Run an interior design and architecture website with the themes and templates we have carefully curated below. With globalization at its peak, new businesses and infrastructures are popping up from different parts of the world. 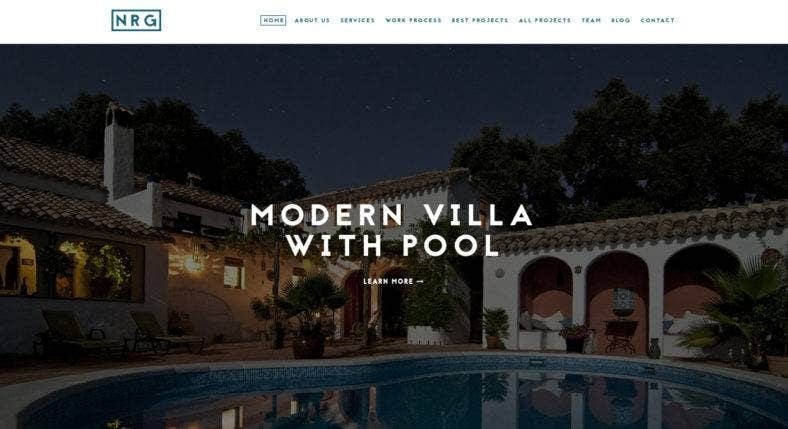 For interior designers and architects to get the most out of the trend, you should be able to extend your presence into the digital world via your personal or business website. Take a cue from the list presented in this article and spruce up your online gateways to attract clients and customers. We made sure that these templates have equally stunning and gorgeous designs perfectly appropriate for your state-of-the-art products and artistry. This compilation consists of various web designs for different purposes, whether corporate, portfolio, blogs or eCommerce websites. This is a new interior design template that comes with a minimalist and clean design. This one-page website theme is especially made for interior and architecture designs with its simple but gorgeous choice of fonts, pretty icons, and awesome masonry-grid style gallery. It’s responsive and optimized for SEO, thus, making it a great choice for your websites. Alexander is a minimalist WordPress theme with a sophisticated and professional design perfect for both interior and exterior designs. Featuring a full-screen image and video header slider, it provides an attractive visual effect to your website. The theme also has a responsive layout that is retina-ready and has cross-browser compatibility so it looks great on all devices. This beautiful black and white WordPress theme is a favorite because of its unique and modern design. Interra is a stylish template that comes with a versatile layout grid and over 25 content modules for different uses. These can help you build the website that you want. It also allows you to showcase projects and can serve as a portfolio website for designers and architects. 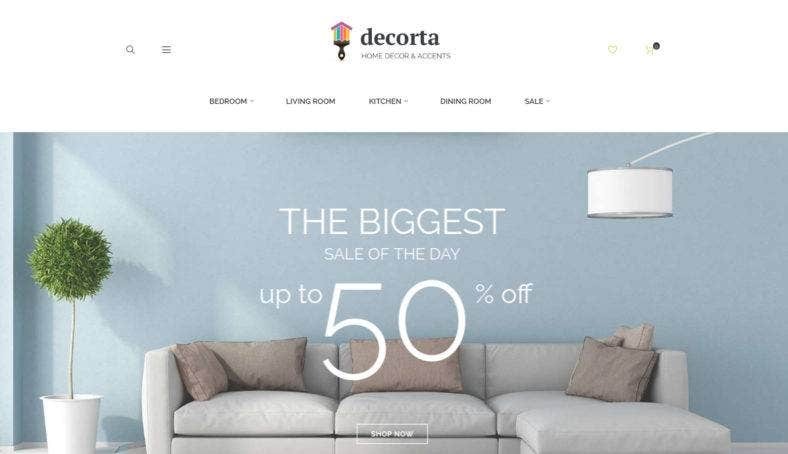 Decorta is a responsive Magento theme that is built for home decor and interior design products. This eCommerce template has a flexible platform that can be scaled to any store size, whether you’re selling a single product or various types of items. It’s packed with powerful features such as Megamenu, Ajax Search, and multiple product display options. 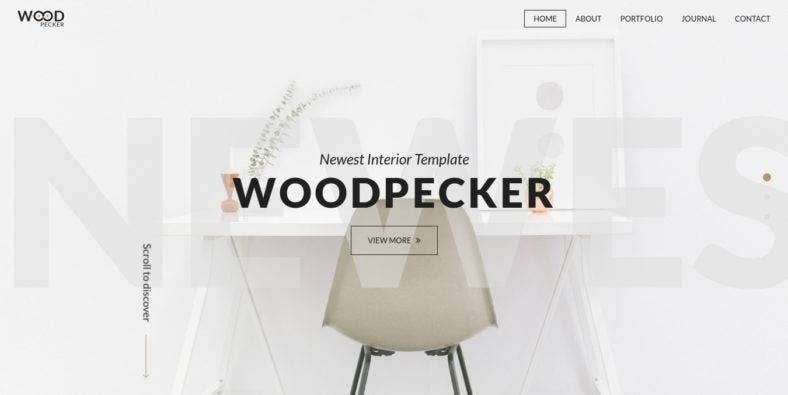 For interior design and home decoration websites, you can use the stunning WordPress template above. DeKor comes with special shopping functionalities and product presentations as it features a fully designed and integrated WooCommerce plugin. It was generated with the WordPress’ Visual Composer and contains a lot of shortcodes to customize an intuitive visual interface. Another interior deisgn and home decoration template is Decore, a responsive website template that comes with a clean and polished design. With sliced PSD, extra pages layout, Google Web Fonts, and others, this Bootsrtap-made theme is highly customizable and versatile. It also includes several web forms, responsive layout and a dropdown menu for easy navigation. 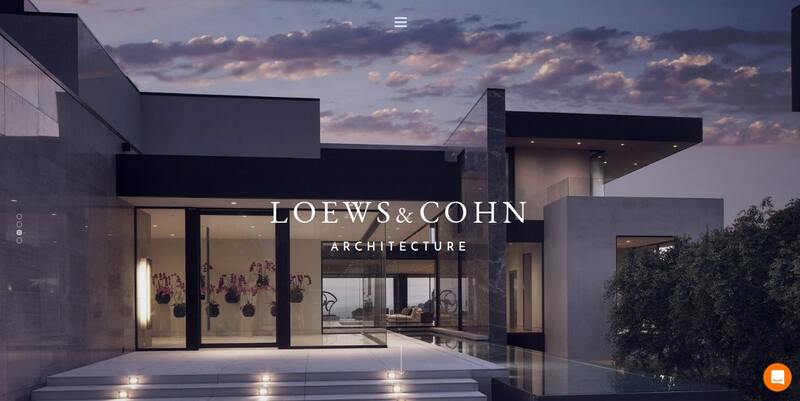 For exterior designs and architecture, here is a one-page website theme that consists of multiple demo content with one-click installation. This enables you to create a functional website in just a few minutes. It sports a unique and clean design packed with awesome features, such as a responsive revolution slider, easy one- page sections, and live customization options. 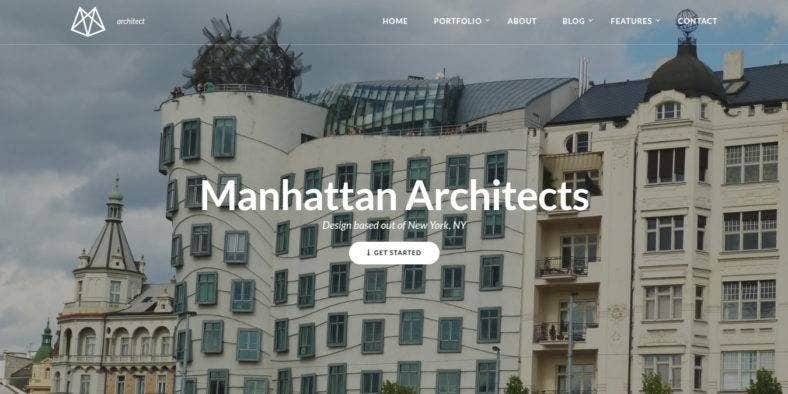 Another awesome template for architecture is the multipurpose website theme, Manhattan. The theme is composed of several demos for various types of websites such as portfolios, creative agencies, businesses, and restaurants. It is well-formatted and well-reviewed. It is also easy to modify and personalize this template according to your needs and preferences. 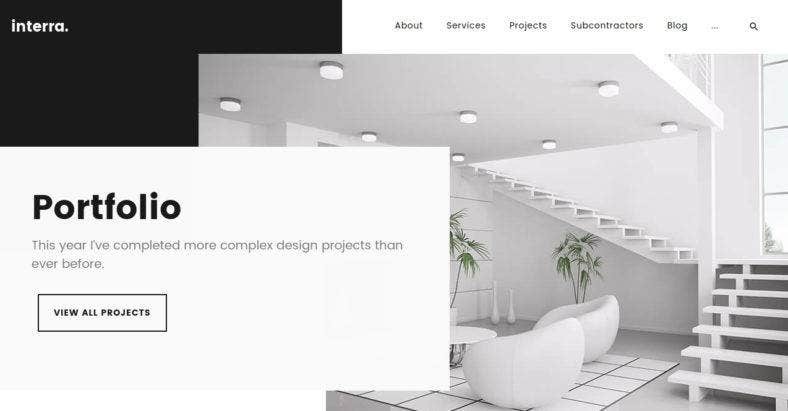 Next is the beautiful Architekt, a business WordPress theme that comes with an exquisite design that gives a more corporate and professional feel to your websites. The theme is customizable with its Visual Page Builder that lets you change its color, backgrounds, and more to make it more personal. It also features a Demo Content Install and is WooCommerce-ready. 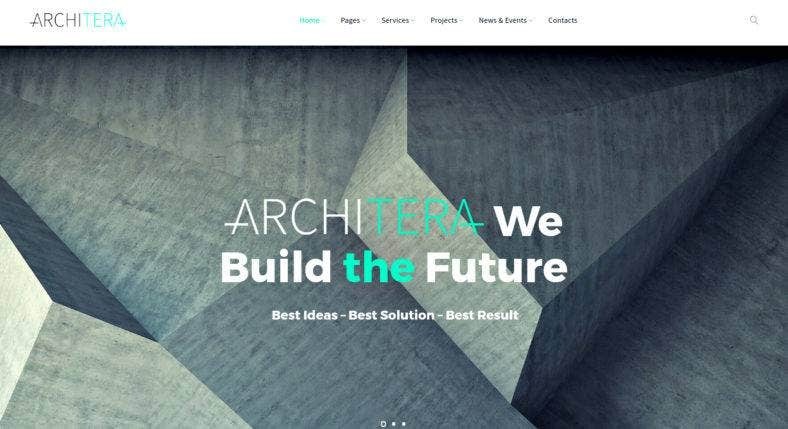 Architera is a minimal WordPress template made for architecture firms and other industrial websites. It is packed with a bunch of dynamic features like the Drag-and-Drop page builder, Cherry plugins, various content modules, multiple layout options, custom widets, and more. This them also has a captivating responsive design with parallax animation. We all know how important web designs are for companies and businesses in the creative field, such as architecture and interior design. That is why we made sure to collect the best-looking themes and templates out there to keep you from having a poorly designed website. These items are also highly customizable and jam-packed with great features to ensure you are able to build the perfect website that you want.